That’s a fascinating story, and I really want to see a picture of that jailhouse too. As for the challenge, I bet your pictures are better than you think they are. Incidentally, what time of day are you taking pictures? I wonder if you are just trying at bad light times. Both the branch and the dog pics are really truly awesome, and the field one wasn’t too bad either. Dan – I totally dig this pic. F’real. LOVE this photo!! I would love to go out and take pictures of simply abandoned old buildings…a history that’s becoming lost. 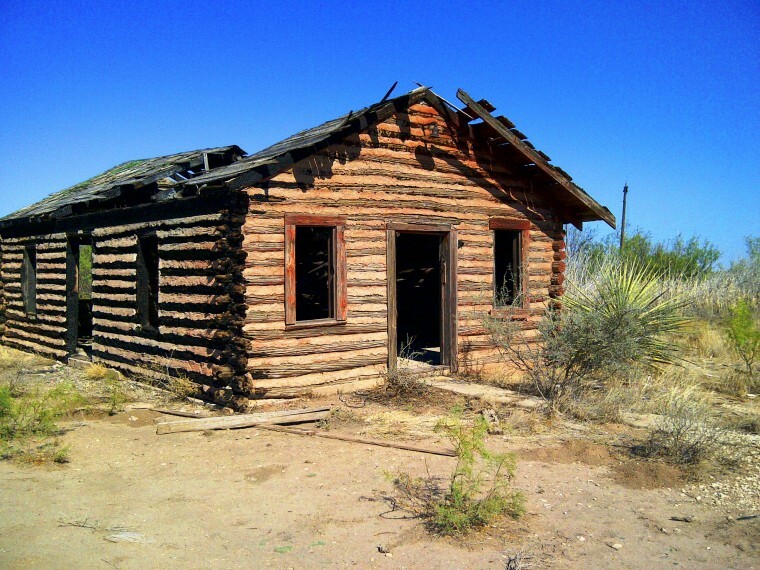 An aside, the wood in that building….is that mesquite!?! Also, I feel your pain. I have felt like my pictures have really sucked this year. I had a couple of days where I took some, but nothing post-worthy… at all! This is a sad picture and I would definitely like to see the others! AND this is a sad statement about the challenge! If we could only post good pictures, then I wouldn’t post ANY! I’m just taking pictures so I can be a part of this. Chris – I would guess it is mesquite since that is the most abundant type of wood in the area. This building is close to the Santa Rita #1. It would only take you an hour to get there from your house. I think it is time for a road trip! This building is great – the side on the left of the picture is burned and there is an old rock fireplace on the other side. This building was actually the local Boy Scout building. People still gather there yearly from my understanding. It is unfortunate that it was also a popular place for teenagers to hide and drink out in the country. From my understanding that is what caused the fire that scorched the roof and the one side. But at least it makes for more character for my photos.